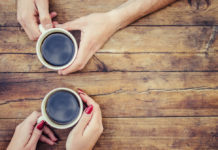 Chicory may be mostly known as a coffee substitute, though there is an extensive body of research examining chicory root side effects and potential health benefits. So is chicory worth your while? Here's the truth! Chicory is part of plant species Chicorium intybus. While its blue and lavender flowers are eye-appealing, chicory’s leaves and root grabs most attention in the health world. Blanched, matured leaves are often mixed with other greens and consumed as a vegetable, while the ground root is consumed as a coffee substitute. Although chicory is mostly enjoyed in a safe manner, and lend health benefits worth recognition, there are potential allergic reactions and unpleasant side effects deserving of attention. From improving digestion to supporting heart health, the benefits of chicory root detailed below are backed by sound evidence. One of the most recognized uses of chicory relates to digestive health thanks to its natural supply of inulin. 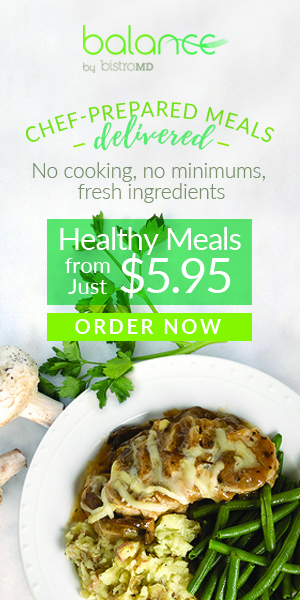 Recognized as a starchy dietary fiber source, inulin is not digested or absorbed in the stomach. Instead, inulin acts as prebiotic source, in which it travels to the colon. Probiotics, or healthy gut bacteria, then use it to grow, in turn improving bowel function and general health. According to a study published in the Journal of Clinical Gastroenterology, a daily dose of inulin may improve gut function by promoting bifidobacteria growth, a well-known probiotic. What’s more, it was well tolerated by subjects with gastrointestinal complaints. And while there was debater on whether or not inulin could be counted as a nutritional fiber source, the FDA recently deemed it countable on Nutrition Facts and Supplement Facts labels. 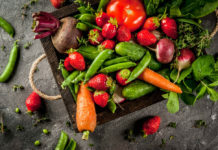 Fiber’s role in heart health has been long explored, as adequate intake of the non-digestible starch shows to reduce the risk of cardiovascular disease by reducing LDL (or bad) cholesterol levels. 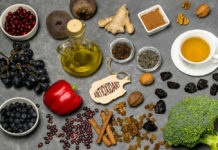 Dietary fiber may also reduce inflammatory c-reactive protein levels and high blood pressure, two biomarkers for heart disease. Though the research specific to inulin’s role in heart health, a newly published study in Nutrients discovered inulin improves high triglyceride levels following a meal in mice. The milk added to chicory coffee might not be the only contributor to bone health… The inulin sourced by chicory shows to increase calcium absorption in the intestinal tract, thus increasing bone mineral density and calcium retention through enhanced calcium absorption. An animal study published in the Journal of Nutrition suggests chicory inulin not only increases calcium absorption, but also increases mineral parameters in whole-body bones. Chicory benefits for skin primarily stems from topical use. For centuries, a paste of chicory leaves has been applied directly to the skin for swelling and inflammation. And explaining the current trends and future perspectives of prebiotics research, prebiotics are expected to enter the dermatological sector and boost skin health. Higher intakes of dietary fiber are linked to lower body weights. The impact of fiber on weight mostly relates to its ability to control appetite, thus prevent overeating. Compared to low-fiber foods, plant-based sources rich in fiber tend to be more filling without supplying large amounts of calories. Losing weight and maintaining a healthy body weight weight lowers the risk of type 2 diabetes. There is also evidence suggesting chicory inulin as a nutritional supplement may be beneficial for the patients with type 2 diabetes. Also in a study published in Journal of Traditional and Complementary Medicine, researchers divided participants into a test group that drank either chicory root extract or non-chicory root extract. Those who drank the chicory root extract displayed decreased hemoglobin A1c levels, a blood test that measures average blood sugars for up to three months, leading researchers to suggest that chicory root extract could delay or prevent the early onset of diabetes. Chicory may cause an allergic reaction in people who are sensitive ragweed, chrysanthemums, marigolds, daisies, and many others. If allergic to chicory, consuming or handling it result to itching, hives, shortness of breath, wheezing, facial swelling, dizziness, pale skin, and loss of consciousness. It is absolutely critical to seek medical attention if displaying such symptoms, as an allergic reaction to chicory root extract may be life-threatening. Taking chicory by mouth in large amounts could be unsafe during pregnancy, as it might start menstruation and cause a miscarriage. Not enough is known about its safety during breast-feeding during this time. Since chicory may lower blood sugar in people with diabetes, it is important to monitor for signs of low blood sugar (hypoglycemia) and monitor blood sugar carefully. Chicory can stimulate the production of bile, which could be a problem for people with gallstones. That being said, do not use chicory without medical supervision if you have gallstones. Chicory might lower blood sugar and might interfere with blood sugar control during and after surgery. It is advised to stop taking chicory as a medicine at least two weeks before a scheduled surgery. 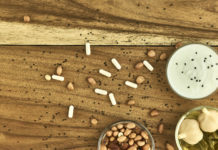 Ultimately, though, be sure to follow directions on product labels and always consult with a primary care provider before using chicory or any sort of supplement. So, should you consume chicory root? Also be cautious of all supplement products, as they are not carefully regulated. A healthcare professional can help you navigate choosing a supplement if interested in taking one. However, nutrition experts likewise encourage wholesome food products over supplements. 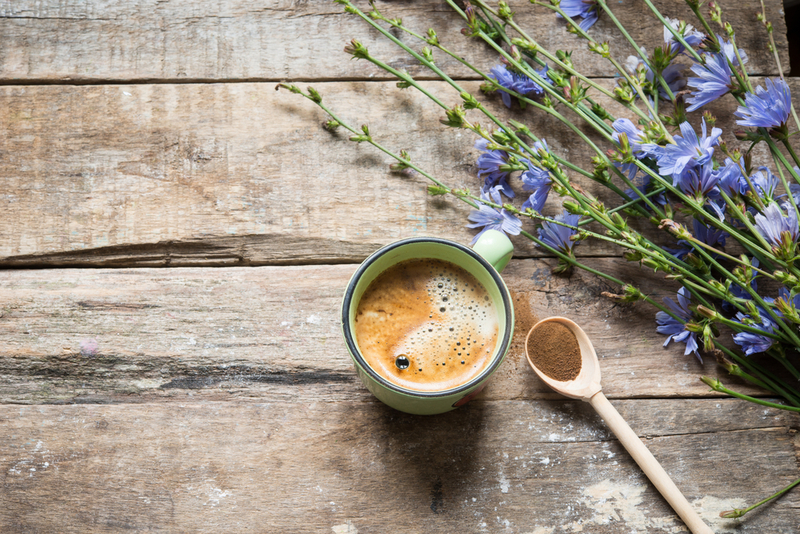 So truthfully, sipping on a warm cup of chicory can certainly be a nutritious and delicious way to start your morning! Previous articleIs Tennis The Secret to A Longer, Healthier Life?